If you are someone in recovery, or are even someone still trying to get successfully clean and sober, and you are a parent – the thought of your children going down the same excruciating path that you did can be terrifying and heartbreaking. Unfortunately, scientists believe that genetic factors play a big part in addiction. Various studies demonstrate that heredity can account for between 40% to 60% of an individual’s vulnerability to addiction. This is unfortunately is why the tragedy known as “the cycle of addiction” exists. However, if you are aware of it, and take steps to combat it, you can help your child beat this vicious cycle, and can hopefully help him or her avoid all the pain and suffering you likely experienced when you were an active drug and alcohol abuser. Sadly, one in ten Americans over the age of twelve – a number that amounts to nearly 23.5 million people – struggle with substance abuse in the United States today, according to the National Survey on Drug Use and Health. All of these people are someone’s children, and although it’s not always the case, in many cases their parents at least used, if not abused, drugs and alcohol as well. As mentioned above, heredity is clearly a factor, but furthermore, children learn from experience and their surroundings, and as a result, children who grow up around drugs and alcohol are more likely to become users at a younger age, and are more likely to continue to use into adulthood. There are many reasons for this, and facts that prove this is true. As many as 12% of children in the United States live with a parent who is dependent on, or that abuses, alcohol or other drugs, according to the Department of Child Welfare. This number is astounding; even if half of these children manage to avoid falling into this trap themselves, that’s still 6% of American children that will grow up to abuse drugs or alcohol. The number of babies born addicted to drugs or alcohol is soaring. In 2000, only 1 out of every 1000 babies born was born dependent on opiates, but today that number is as high as 30 per 1000 births in some parts of our country. It is estimated that every 25 minutes, a baby is born suffering from opioid withdrawal. This occurrence is called Neonatal Abstinence Syndrome (NAS), and sadly, it is not going away. Fetal Alcohol Spectrum Disorders (FASD) are also on the rise, but at a slower pace than NAS. Still, as many as 9 out of every 1000 children born in the United States are afflicted with one of these disorders, which are caused by expectant mothers drinking alcohol during pregnancy. Those affected are subject to a wide variety of physical disorders, and are more likely to have trouble in school, legal problems, participate in high-risk behaviors, and have trouble with alcohol or other drugs. 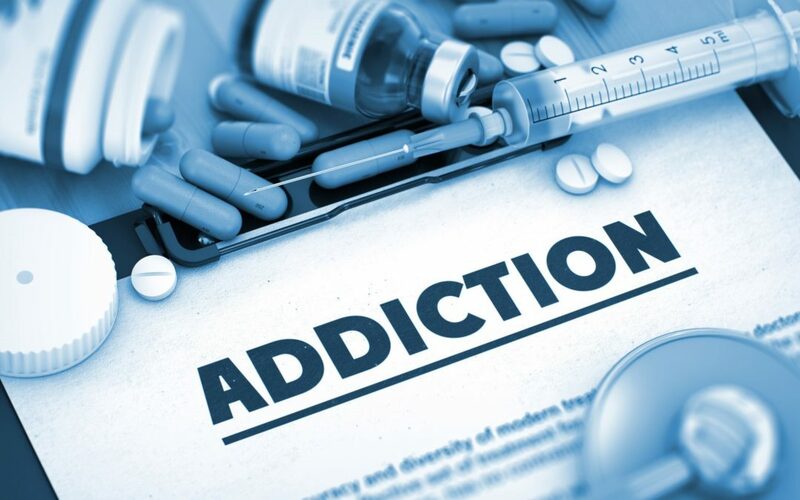 Studies have shown that the genetic disposition for addiction can be so strong that the prevalence of addiction is higher even in children of addicts that have no contact with the addicted parent. Scientists from the University of Texas Health Science Center tested the impulsivity of 105 children, 72 of whom came from families with histories ofsubstance abuse. Findings in this study showed that children whose families had a history of addiction displayed impairments in the same part of the brain that regulates impulse control. These children also displayed more brain activity while completing tasks, but had less efficient neural pathways, meaning they had to work harder to complete the same tasks as the group of children whose families did not have a history of substance abuse. Unfortunately, parents who abuse drugs and alcohol are simply not as good at parenting as parents who don’t. The lack of stability and boundaries and rules in a household can certainly lead to substance abuse in the children at an early age as well. Studies show that children who grow up in unstable family environments may have a higher risk for addiction. Further, growing up in a family where drug or alcohol abuse is present can influence a child’s attitude towards these substances. Children emulate their parents’ behavior. In a study in 2005 by researchers from Dartmouth College and Dartmouth Medical School, children ages two to six were given the opportunity to shop at a miniature grocery store while observed. Sixty-one percent of the children chose alcohol for their shopping cart, but scientists noted that children whose parents drank more frequently were more likely to include alcohol than others. With statistics like these, it almost seems as if the cycle of addiction is almost unbreakable, but don’t lose hope. There are things that you can do to help your child stay alcohol and drug free, and thereby help him or her to avoid following in your footsteps. Unfortunately, the main problem with the cycle of addiction is that your children need to realize that they want to end the cycle, and they must take an active role in their own future to get out of it. Most children and teenagers are not mentally or emotionally mature enough to fully understand this, however. It’s not just a matter of stubbornness or ignorance, either – the problem is developmental; the portion of the brain that is responsible for mature decision making is not fully developed until an individual is twenty-five years old. Once a child has reached this age, it is easier for him or her to fully grasp the importance of breaking the cycle of addiction, and the path to success to do so will be clearer. In some rare cases, simply seeing a drug addicted parent’s struggles is enough for a child from a family of substance abuse to avoid drugs and alcohol, but unfortunately, that situation is more often the exception than the rule. Jails and rehabilitation centers are full of people who came from homes where parents regularly abused drugs and alcohol. However, again, with the right approach and armed with the right information, you can try to help your child or teen understand why it is crucial that they say no to drugs and alcohol in their lives. Be open about your own struggles. Be forthcoming about what you have experienced. Sometimes, children and teens think their parents are exaggerating or are being overprotective. Show them that your fears for them are warranted. Offer facts. As shown in this post alone, there is tons of information out there about the risks for children of addicts or recovering addicts. Spell it out for them. Monitor your child’s activities and know their friends. There is no better way to keep your child from using than by knowing where they are and who they are with at all times. This still will not be entirely successful in some cases, but it will at least put you miles ahead and give you a fighting change. Build your child’s self esteem. Children with parents who are primarily focused on their own use of drugs and alcohol often lack self-confidence and self-esteem. Now that you are on the road to recovery, help your child develop these qualities. Compliment them often. Get them involved in activities in which they can succeed and thrive. Set clear boundaries. Believe it or not, kids actually like rules. It makes them feel secure. Set rules, and stick to them. Find a mentor for your child. Your child may not feel comfortable talking to you about everything in his or her life, and that’s ok. Seek out another adult to act as a mentor. Your son or daughter may not go to this person in times of need, but it will be comforting for all involved to know that that person is available and willing to help. Consider child-focused group therapy. People benefit by having the opportunity to speak to others with whom they have things in common. Perhaps consider finding a child or teen support group, and encourage your son or daughter to participate in it. Know the warning signs. Sure, you think you can easily spot drug or alcohol use in another person – especially your own child – without fail, but that may not really be the case. Your son or daughter may end up using substances that you didn’t use yourself, or may be adept at hiding signs of intoxication, so be vigilant in keeping watch for potential use or abuse. Nip it in the bud. If you do suspect your child or teen is using drugs or alcohol, don’t let it go – address it immediately. It is extremely important that you address it before it escalates. Stay positive and hopeful. Don’t lose hope. It’s certainly not an unavoidable destiny that your child follows in your substance abuse footsteps. The statistics make it sound grim, but with the right attitude and actions, you can keep your son or daughter from becoming an addict. The fact that a cycle of addiction exists and has been proven by countless scientific studies is certainly daunting and intimidating, but stay positive and do not fear. Although no one can help the environment they were born into, and the people their parents were and are, remember, anyone can change the outcome of their future if they are given the right tools. It is never too late to break the cycle of addiction. Your child’s future is not yet written, and you, as a parent who has managed to change your ways, can help to ensure that your son or daughter’s future is bright, positive, and drug and alcohol free! If you are still trying to break free from your own addiction, or if your child has already begun an addiction of his or her own, we at Clear Sky Recovery are here to help. Our ibogaine detox is innovative and effective, and can help anyone struggling with substance abuse to begin a new life, free of drugs or alcohol. Pleae give us a call today to discuss your unique situation and the ways that we can help you. Our facility in Cancun, Mexico, is available to you, and our intake specialists are standing by to answer your questions. Please contact us today.